CSC 121. 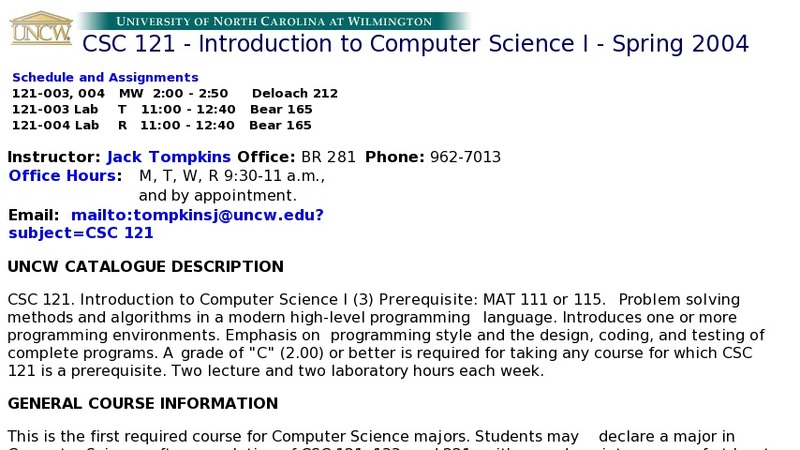 Introduction to Computer Science I (3) Prerequisite: MAT 111 or 115. Problem solving methods and algorithms in a modern high-level programming language. Introduces one or more programming environments. Emphasis on programming style and the design, coding and testing of complete programs. A grade of "C" (2.00) or better is required for taking any course for which CSC 121 is prerequisite. Two lecture and two laboratory hours each week.